So you have decided it is time to find a new home. Perhaps you have outgrown your current home or are tired of spending your weekends and your money on home reno’s, there are many reasons for wanting to move into a new home. Read on for some insight about the benefits of new home ownership! Your home will be brand new! As the first owners to live in it there are no nail clippings in the carpet, you won’t have to do any repairs or renovations or fix up any tacky or outdated design choices from the previous owners, which can be costly and time-consuming to take care of. Plus, there is a true satisfaction and an emotional connection when building a home to call your own, with your very own personal touches. With Laebon Homes you will have the freedom to customize every aspect of your new home from the layout to the finishes - this allows you to get a home perfectly tailored to all your wants and needs. Furthermore you can work hand in hand with our savvy Design Consultant as much or as little as you want along the way to insure your vision becomes a reality. Today’s new homes have smart features and technology included in them to make life easier and save you money. New furnaces and humidifiers work with a programmable thermostat to allow you to set multiple temperatures during the day to save you money on heating and cooling when you aren’t home or tucked into bed for the night. Older systems aren’t always compatible with programmable technology and are not as efficient of systems either. Plus you can have the very latest and greatest in home appliances. One of the great advantages of buying a brand new home is the warranty that comes with it. Each new Laebon home is covered by the Alberta New Home Warranty Program which is the province's most experienced and most trusted new home warranty provider. The 1-2-5-10 year coverage plan covers such items as; Labour and materials are covered in the first year, distribution systems over the first two years, the building envelope throughout the first five years and any structural components during the first ten years. 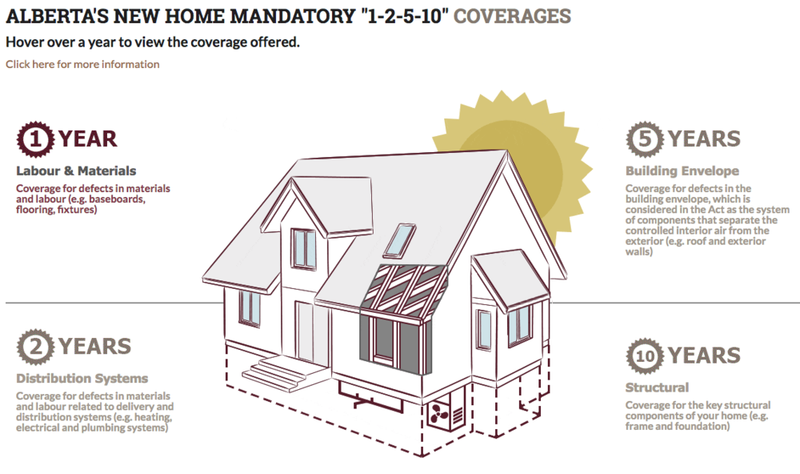 For more information about Alberta New Home Warranty, you can visit their website here. Building a new home may quite literally be better for you in the long term. Many older homes can have air quality issues such as asbestos, lead paint, mold and other pathogens that may be harmful for your family. New home builds utilize better building materials that are safe and adhere to the latest building codes. Want NEW but need a home right away? We will have more information on Quick Possession Homes in a future post...Stay tuned.